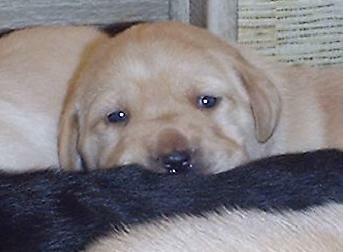 Breeding the Labrador Retriever Puppies for the Whole Family to Enjoy. you will find a wide range of colors from a cream to a golden yellow. Anyone of these puppies will make a excellent family companion dogs with the correct temperament. intelligent, and along with good looks. 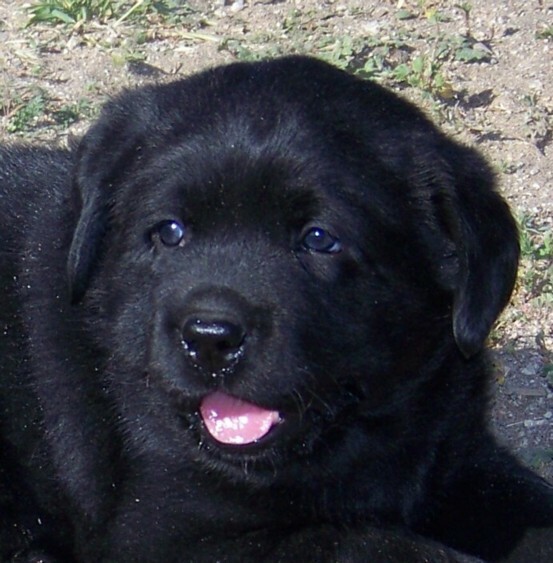 These parents are from the most influential Labradors from England and America, the parents pedigrees are a must to see, they are from the very best of the Labradors lines with long history of OFA and eyes clear of PRA. 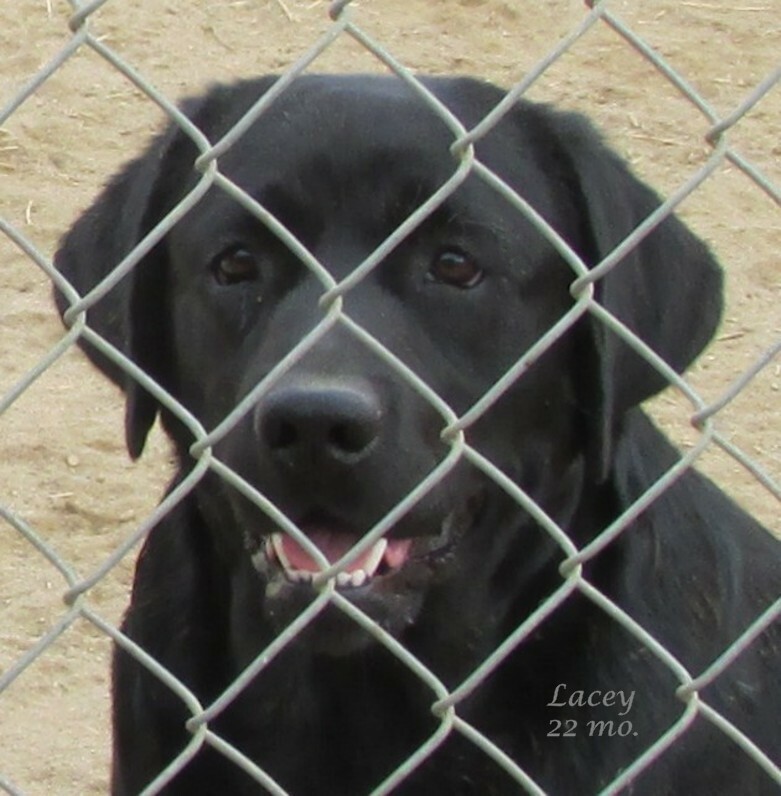 "Be Sure to Look at Both Parents Exceptional Pedigrees"
Click on Lacey's picture for her webpage. Lacey Conformation: English style body, she is true show quality girl with a nice square head gentle expression, beautiful brown eyes, and has a couple body with excellent front and rear angles, thick otter tail and a thick double black coat. Size: Lacey weight between 60-65 lb. Note: Her weight and height are within the AKC standard. "Servant's After Midnight of Wells"
Her mom Abby's dad is BISS CH and China CH Wiscoy's Yogi CGC. Her dad lives in China now and he is a China show champion. Yogi her father is a line bred from BISS CH Weathertop El Mino, Storm is a excellent black Labrador. Note: Weathertop is a Labrador breeder from England. On her mother and father side there are lots of English and American show champions. There is a black Labrador name BISS CH Marshland Blitz.. Blitz sired over 100 show champions, note Dennis the owner of Blitz told me these fact of Blitz, no second hand news.. Blitz was one amazing Labrador and far as I know no other Lab has produced this many show champions. Lacey has a excellent mellow temperament "very gently nature" she is people and dog friendly... also with medium energy... she is easy going and affectionate like both of her parents. Click on Mark's picture for his webpage. Mark's Confirmation: English style, strong bones, broad blocky head with great expression, beautiful dark brown eyes, level top line, excellent front and rear angles, with great movement and reach, nice thick tail. 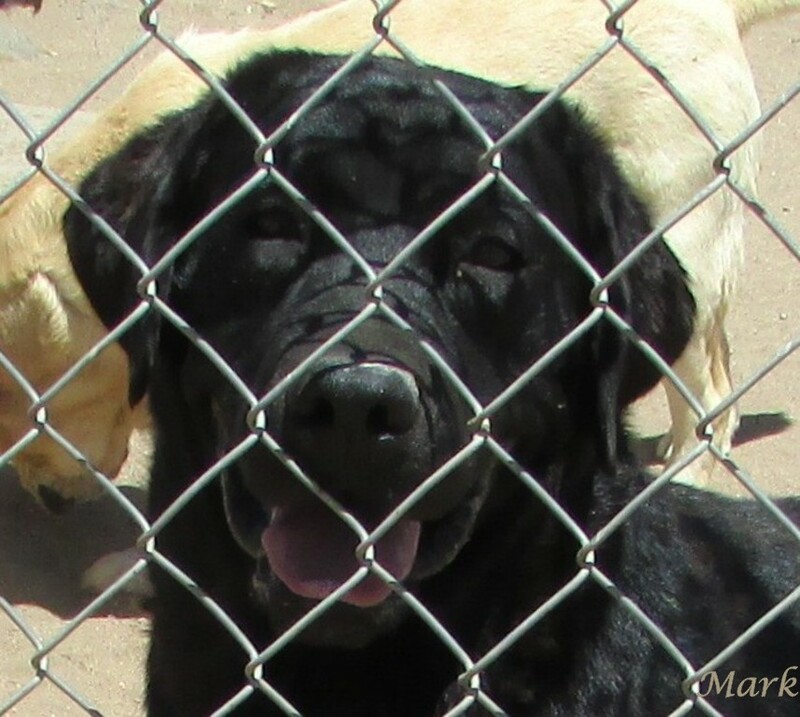 Mark is a handsome black Labrador Retriever and a excellent example of a black Labrador show type. He came out of excellent show lines right here in America. Both of his parents are show champions and both have excellent pedigree back ground making Mark's pedigree excellent. Mark's granddad on his sire side is a Gold level Grand show champion and the #1 Labrador for 2012 and he is "MBISS MBOSS Gold Grand CH Briarwood's Eye On The Prize". Mark has a excellent temperament a nice people dog... with good energy... he is one happy easy going boy that has no bad hair day. Size: Mark weight between 80-85 lb. Note: His weight and height are within the AKC standard.